Remedy is celebrating the 17th anniversary of the release of the original Max Payne on PC. Tell your favorite Max Payne stories, what it was like playing the game for the first time, or just send your congrats to the company for 17 years of good work! I had heard about Max Payne due to my subscription to PC Gamer magazine back in the early 2000s. Remedy had just come back from an incredible showing at E3, and progress on the game was going well. In Summer 2001, I did a day job working for my dad as an assistant to his contractors. He was paying me around $50 a day, which was enough to help me buy some new PC games and start upgrading my then (current) computer with new parts. I hit a huge upgrade wall when I discovered Intel was shipping awful motherboards to PC OEMs back in the day that not only had god awful 3D graphics, but lacked the internal expansion slots to attach new graphics boards. One computer refresh later, I upgraded the new computer’s graphics with a new 64MB GeForce 2 MX, and the first game I decided to test the new board with was Max Payne. It would be Max Payne that would define the rest of my summer. I would stay up late at night playing through levels, with my finger on the Quicksave button. I had never seen anything like it before. It looked incredible. It was mature and tackled mature themes like drug use, murder and betrayal. This was a game that wasn’t going to treat me like I was a kid, which I had tremendous respect for. It was a great summer. Ever since then, I’ve been a Remedy fan. 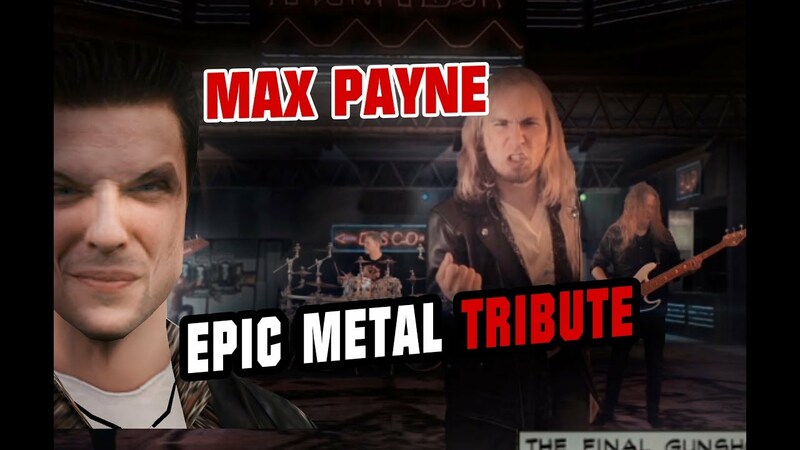 Battledragon steps inside the digital world to pay tribute to Max Payne Max Payne was one of the most successful games ever to come out of Finland. 2001, I just got my first PC. A friend gave me a bunch of games, a totally legit copy of Max Payne was one of them. Yes, I was way too young to play, and I didn't really understand a word (like in English words…) back then. I maybe understood that his baby was killed by the bad guys. Anyway, it took me a couple of years to grow up (duh) and replay the game, I think I replayed it shortly after Max Payne 2 released. Now I did understand everything, and the game was even better. The dark winter nights of New York and the great gunplay, that is something I still enjoy to this day. It's truly one of those classics. Ever since then, I've been a Remedy fan. All times are GMT. This page was generated at 11:33 AM.